Paul is a Professor and Chair of the Department of Anthropology at Indiana University-Purdue University, Indianapolis (IUPUI), where he teaches archaeology, popular culture and applied anthropology. He is also Docent in American Historical Archaeology at the University of Oulu (Finland) and President of the Society for Historical Archaeology. Paul’s research interests focuses on the relationship between racism and material consumption. He is interested in how consumers use material goods to secure some measure of self-determination. For instance, many African Americans often consumed model genteel goods because they understood themselves to be full Americans and did not accept the racist notion that American and Black were exclusive identities. On the other hand, mass-produced objects provide a range of possible meanings that can variously accommodate resistance, simply reproduce existing inequality, or – more commonly – do both of these things. 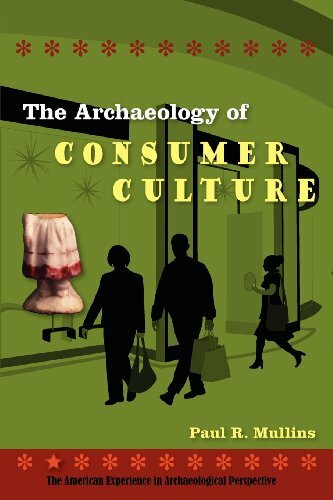 For example, he has examined Barbie material culture to probe the historically complex meanings the doll’s producers have forged since 1959: at various moments and in particular consumers’ hands, Barbies have been quite visionary, politically indecisive, or utterly reactionary. Paul also writes about doughnuts in American history, trans-Atlantic material culture, and Finnish ruins. He blogs about his work on his website, Archaeology and Material Culture, and on the Society for Historical Archaeology’s President’s Corner. In Mullins's skillful hands, this simple pastry provides surprisingly compelling insights into our eating habits, our identity, and modern consumer culture.